Joint inflammation symptoms can linger for months, years, and—without treatment—a lifetime. And it could get worse. Chronic inflammation, which can develop from within a joint, happens when the body’s immune system doesn’t work or, in fact, turns on itself. Joint inflammation is easily recognizable—it’s a condition that affects 80 percent of the world’s population. You’ll know inflammation by its symptoms: pain, warmth, redness, swelling, and perhaps loss of joint function. The symptoms are uncomfortable but manageable with rest, ice, compression, elevation—the classic “RICE” treatment—and a non-steroidal anti-inflammatory drug like aspirin, ibuprofen, or naproxen. Symptoms usually subside within two or three days. 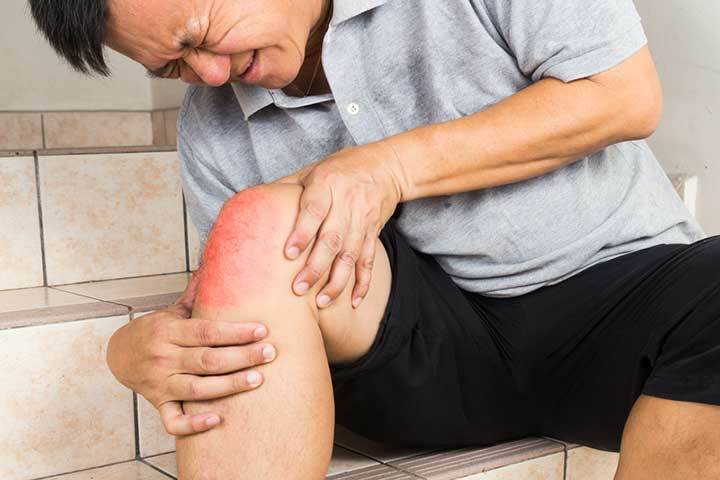 But aside from joint inflammation symptoms and treatment, it’s also important to understand how it started in the first place—and, more important, whether it’s acute or chronic. Acute inflammation gets a bad rap, but it’s not deserved. It’s the body’s way of protecting itself against infection, irritation, and tissue damage, but it can be uncomfortable and unattractive along the way. Here is how it happens. When the body’s immune system senses a potential threat (as when an injury or cut has occurred or when an unhealthy condition is developing), it responds with an avalanche of responses designed to protect tissues and cells. This “inflammatory cascade,” as it has been called, includes an increased flow of blood (and white blood cells) to the area plus proteins, hormones, and other anti-inflammatory compounds whose job it is to heal damaged tissue and get rid of infection, if it exists. Note: Inflammation does not mean infection. They are separate processes, but infection can at times be associated with inflammation. Inflammation can precede or be triggered by infection, but they are treated in different ways. Chronic inflammation, which can develop from within a joint, happens when the body’s immune system doesn’t work or, in fact, turns on itself. The symptoms linger for months, years, and—without treatment—a lifetime, and could get worse. Among the causes of chronic inflammation are joint injuries, immune system dysfunction, abnormal metabolism, obesity, infection, and poor diet. Osteoarthritis is the condition most often associated with joint pain, but rheumatoid arthritis (RA) is a more classic example of chronic inflammation. It is particularly painful, debilitating, and difficult to treat. RA usually affects the hands, feet, and knees, but can affect other joints. Other chronic inflammatory conditions are gout, ankylosing spondylitis, psoriatic arthritis, lupus, Crohn’s disease, and fibromyalgia. Even common joint conditions like bursitis and tendinitis have inflammatory characteristics—especially pain in or around the affected joint. While acute inflammation is easily recognized, diagnosis of chronic inflammation requires a medical history, physical examination, blood tests, and imaging. Treatment depends on the cause. The usual strategies of rest, ice, compression, and elevation may provide short-term relief, but long-term help requires medical intervention by way of specialized drugs, physical therapy, or surgery. Sulfasalazine (Azulfidine) for Crohn’s disease and RA. Corticosteroids are anti-inflammatory drugs used to treat various underlying causes of inflammation. A study published in Exercise and Sports Science Reviews suggested that increased physical activity could be effective for reducing chronic inflammation in older adults. Physical therapy for chronic inflammation patients would include exercises to strengthen the muscles that support a joint and to increase range of motion. How Does Diet Affect Joint Inflammation? Multiple studies have indicated a relationship between diet and inflammation. The body recognizes some foods as foreign, dangerous invaders and others that signal that help is on the way. Foods that might result in inflammation are refined carbohydrates, sugar-heavy beverages, and red meat. Foods that have anti-inflammatory properties are olive oil, green leafy vegetables, nuts (almonds, walnuts), fatty fish (salmon, tuna, sardines), and fruits (blueberries, apples, cherries). Surgery is a last-resort treatment for chronically inflamed joints and falls into three categories: joint replacement (most often for knees and hips), joint fusion (in the hands, fingers, wrists, and ankles), and synovectomy (for rheumatoid arthritis) in which inflamed tissue is removed. Chronic inflammation is not restricted to joints. It has been associated with heart disease, cancer, asthma, allergies, diabetes, irritable bowel syndrome, Alzheimer’s disease, and even depression. Know the symptoms and recognize the difference between acute and chronic inflammation. 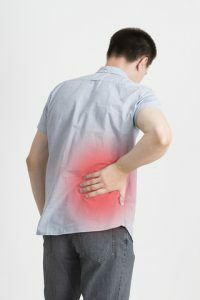 In either case, the sooner you do something about the condition, the better your chances of eliminating or managing the underlying cause—and easing the pain. allergies, almonds, alzheimer, anti inflammatory, anti inflammatory drugs, arthritis, asthma, bowel syndrome, cancer, chronic inflammation, corticosteroids, depression, diabetes, diet, exercise, fibromyalgia, gout, heart disease, heart disease cancer, immune system, infection, inflamed joints, inflammation, irritable bowel, irritable bowel syndrome, joint inflammation, joint pain, joint replacement, lupus, metabolism, nuts, obesity, osteoarthritis, pain, physical activity, psoriatic arthritis, ra, refined carbohydrates, rheumatoid, rheumatoid arthritis, sugar, synovectomy, tumor, vegetables, walnuts, white blood cells. Jim, what is the basis for your contention that joint inflammation affects 80 percent of the world’s population ? I purchased the 2018 Arthritis Guide book and it is by far the most helpful of any book I’ve read!